Those are the famous words of an MBA student when I spoke with him years ago. As a struggling upstart that consists of a staff of one, I needed business help. A client referred me to someone who said they could chat with me about business to help me figure out how to improve things. When all the cards were out on the table and I explained what I did he said, “Don’t teach Thai massage.” I asked why and he explained that if I taught students they would steal my clients. I sat, pondered, thought and then concluded our meeting. I’ve never taken or heeded his advice. In my own respectful way, I think he’s an idiot. Currently if I had 40 clients who saw me twice a month at 2 hours a session I’d have 80 sessions a month at $160.00 a piece which is $6,400 a month. In a year working 20 hours a week I’d make $76,800.00 I can Live on $76,800.00 a year. More than 40 people need Thai massage. Austin and Round Rock area current population is 1,862,549. I need 40 of you to commit to getting regular work. If I don’t teach Thai massage no one can receive the best bodywork I’ve ever had. 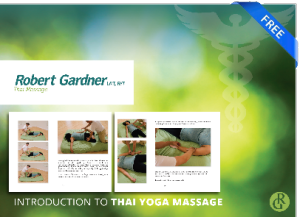 I have a moral and ethical obligation to Teach Thai Massage. My family will be provided for and the public won’t be honking their horns at me in Austin traffic because they’re stressed. I won’t have to hear about another person who’s sitting in an office neglecting their body because they work 60 hours a week at a tech firm. You need Thai massage. I need Thai massage. The US needs Thai massage and the Planet needs it. There Is No Scarcity. Illusion is the root of all suffering.